Big Boulder Alley - The Chip's Challenge Wiki - The Chip's Challenge Database that anyone can edit! 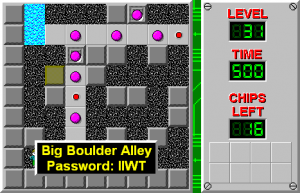 Big Boulder Alley is the 31st level in Chip's Challenge Level Pack 4. It was created by Jeffrey Bardon. 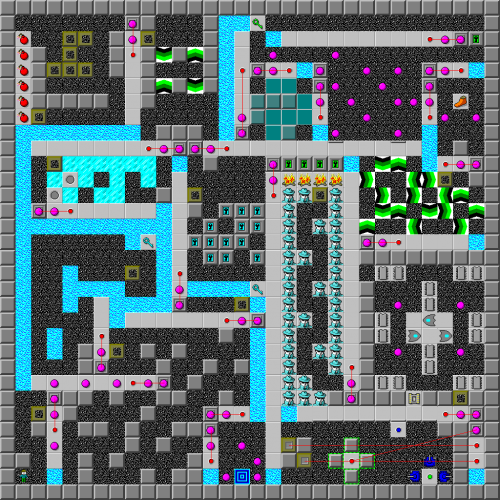 The title is a reference to a level in the 1997 game Frogger.